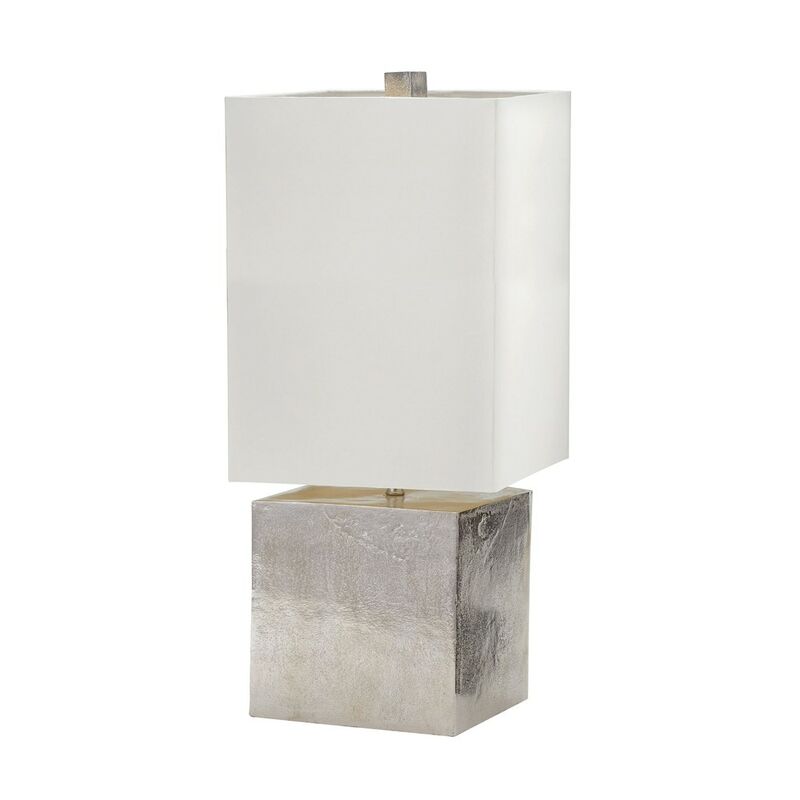 The Industrial Texture Of Cement Is Captured In This Cube Lamp. Formed From Cast Aluminium And Finished In A Nickel Finish. The Lamp Is Finished With An Off White Hard Back Shade.